Memory and learning, something we do for our entire lives. The older I get the more I realise there is to learn rather than the schedules of learning required of students studying at school or university. Learning is our ability to get and process new information and memory is our ability to store it for future purposes. Every day we are required to use these aspects of our brain function. As a mother of 3 kids, creating an environment that helps not only myself be efficient and productive, but also for my family, is something that I feel a sense of responsibility for. Lemon*, Peppermint* and Rosemary Essential oils have been studied for their effectiveness in supporting our memory and learning. 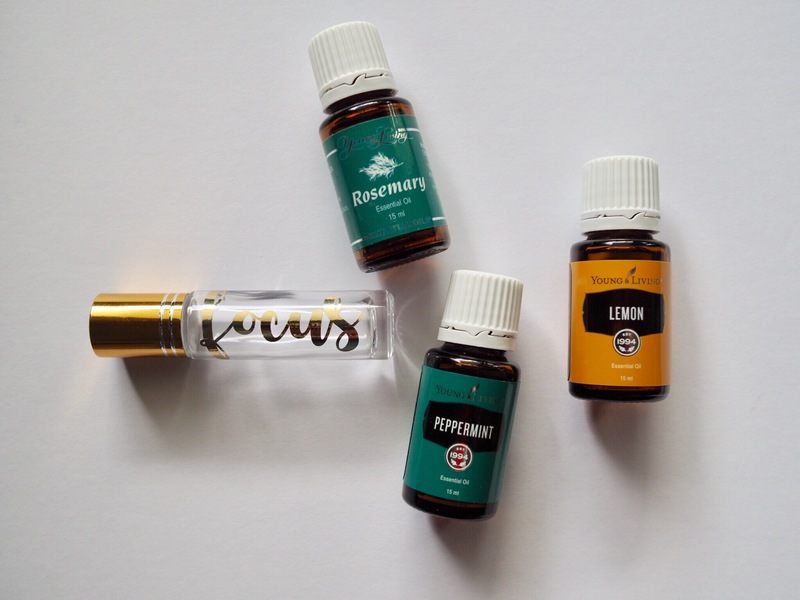 These three essential oils are a great tool to use in the classroom, office, home to stimulate a productive environment. Did I mention thay they actually smell great too? Now you know which oils you can use, let’s help you work out how to use them. 2-3 drops each of Lemon, Peppermint and Rosemary. In any area of the home/office or workplace. 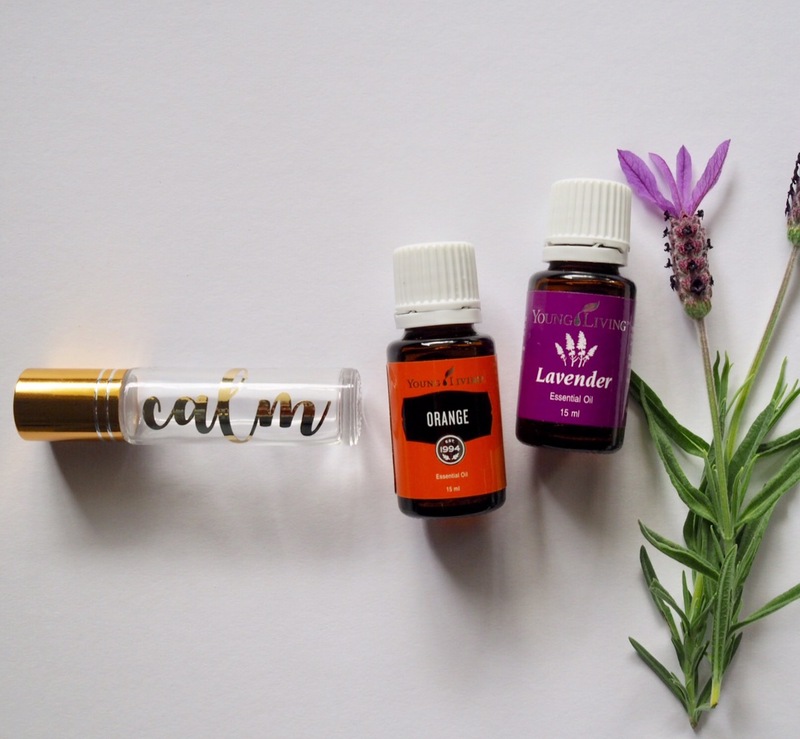 Using a 10ml Roller bottle (or re-use your old essential oil bottle with Aroma Glide attachment and adjust depending on bottle size) is a great way to have your essential oils on hand to use during the day. When using the roller bottle apply as needed to pulse points- inside wrists, back or side of neck. Another option would be to make your own personal inhaler! Buy blank ones from ebay. Which oils help you focus? Peppermint is my favourite. 2. Lemon oil vapor causes an anti-stress effect via modulating the 5-HT and DA activities in mice. 4. Modulation of cognitive performance and mood by aromas of peppermint and ylang-ylang. 5 Aromas of rosemary and lavender essential oils differentially affect cognition and mood in healthy adults. 10 Roller bottles can be purchased from New Directions online in australia and many other retailers. Do you want a healthy home without any nasty chemicals?A couple of years ago I was concerned what I was being exposed to and also what I was exposing my family to. I had noticed that so many people seem to be unwell, people around me were receiving an awful diagnosis. You will be able to swap out your air fresheners, spray and wipe, window cleaner, scrubs, bathroom cleaner, mouth wash, toothpaste, hand soap, dental floss, bar soap, dish wash, sanitising hand gel. Do you know what ingredients are these products in your home? The Thieves range is made using a blend of Clove, Rosemary, Lemon, Cinnamon bark and Eucalyptus Radiata essential Oils which have natural purifying abilities. You wil be confident using them as they are made using natural ingredients, free from any synthetic chemicals. 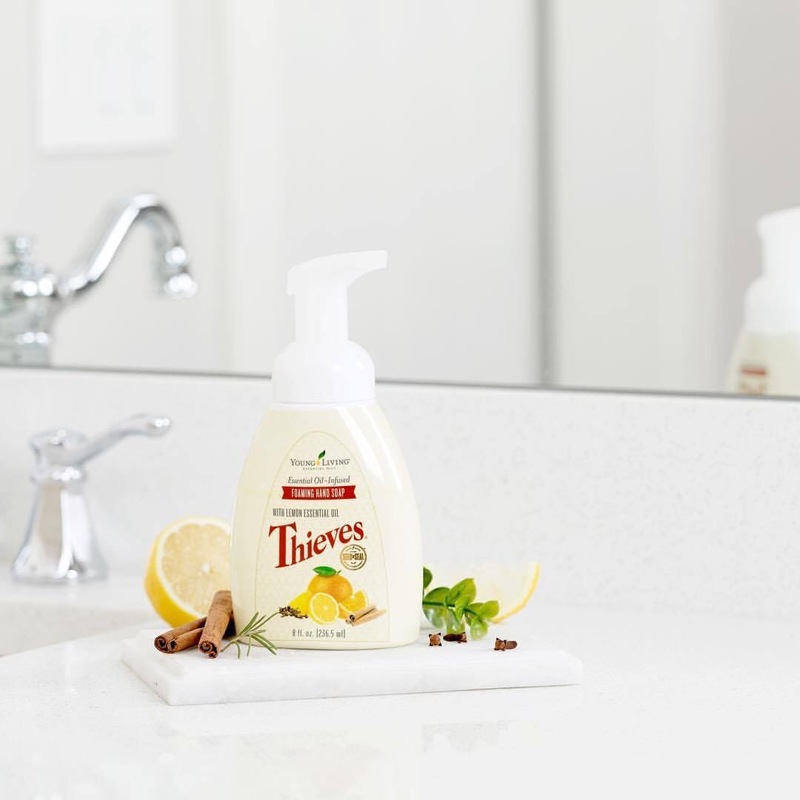 Thieves Foaming Handsoap Did you know the FDA has banned triclosan in America in home anti-bacterial hand soaps and other products? It is not banned in Australia. Thieves has natural anti-bacterial properties to clean your hands naturally. Thieves Essential Oil 5ml. Supports a healthy immune system. Lemon essential Oil 5ml. Purifying and calming when inhaled. Lavender Essential Oil 5 ml. Relaxing and balancing. Purification Essential Oil 5ml. The deoderises and neutralises the air. Deters insects. 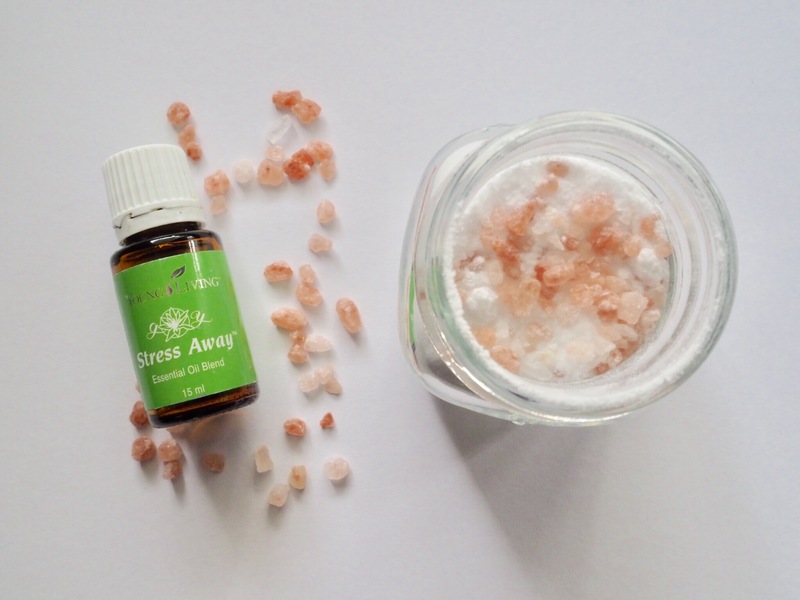 Stress Away Essential Oil 5ml. The label says it all. Diffuse to ease tension and promote relaxation. Wear as perfume! 2 samples of Ningxia Red Nutrient dense drink high in antioxidants. The healthy home Starter kit is $289. All these items bundled together is a saving of 15%. Amazing value when you look at what you can eliminate from your home and replace with a natural and healthier alternative. By clicking the above link you will be taken to the Young Living website where you can set up your own account as a wholesale member. You will see my referral number there too. That means I am here to answer your questions and give you some information about the products. Any future purchases will be 24% off retail price. There is no committment to purchase again unless you choose to do so. What you will find on the website is a full list of ingredients. They are also on the packet. Need to chat about the options and if this is right for you? Please get in contact. I love nothing more than helping people work out what is right for them. Don’t be intimidated by Essential Oils, they are amazing. Once you experience them you will love them. Know someone who could benefit from these products, Young Living is a global company and chances are you can receive them in your country of residence. A referral is the greatest compliment, please share.